ESTE ARTÍCULO ES GASTOS DE ENVÍO GRATIS EN EL REINO UNIDO. Type Filler Neck. Classic Car Part No. Modified Item No. Peugeot 309 205 GTi. Oil Breather Filler Housing. make Supersized seem small. Get images that. PEUGEOT 130510. TAPPO RADIATORE PEUGEOT 204 - 304. Periodo di. 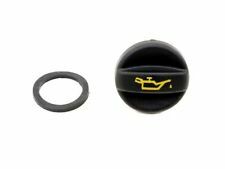 Genuine Peugeot 106 GTi, 306 GTi-6 & Rallye / Citroen Saxo VTS Oil Filler Cap 025849. 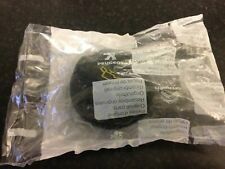 Genuine Peugeot 106 GTi, 306 GTi-6 & Rallye / Citroen Saxo VTS Oil Filler Cap. Peugeot Part Number : 0258.49. This item is a common cause for oil leaks. VEHICLE MODELS / YEAR L1, 0249. BIPPER Tepee 1.4 73cv. BIPPER Tepee 1.3 75cv. BIPPER (AA_) 1.3 75cv. BIPPER (AA_) 1.4 73cv. EXPERT Tepee (VF3X_) 2.0 163cv. EXPERT FurgÃ³n (VF3A_, VF3U_, VF3X_) 2.0 163cv. BOXER AutobÃºs 2.2 101cv. BOXER AutobÃºs 2.2 120cv. 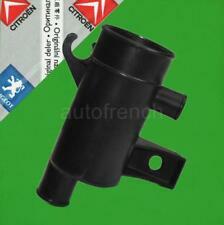 Peugeot Citroen Oil Cap Filler Housing - 1180J9, 1486895080. Genuine new Peugeot Citroen part from a Main Dealer - was sealed - only opened to take pictures - may have the odd small mark etc from storage / handling at the dealer - supplied exactly as shown . PARTNER Combispace (5F) 1.1 60cv. PARTNER Combispace (5F) 1.4 75cv. PARTNER Combispace (5F) 1.4 73cv. PARTNER Combispace (5F) 1.6 109cv. PARTNER Combispace (5F) 1.6 110cv. PARTNER FurgÃ³n (5) 1.4 75cv. HDi Diesel Engines. 206 207 306 307 308 3008 406 407 5008 607 806 807 Partner Expert Boxer Bipper. Engine Oil Cap. Suitable For. PEUGEOT 205, 305, 309, 405 & 605. PEUGEOT PART NO : 0258 18. FITS PEUGEOT 205. 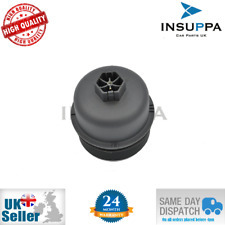 OIL BREATHER CAP OIL FILLER CAP / OIL BREATHER CAP. ONLY 1 AVAILABLE. 9 / 1989 on. 2.0, 2.0i,2.1D&2.0TD. BIPPER Tepee 1.4 68cv. BIPPER (AA_) 1.4 68cv. Detalles del producto (8430000000000). IMPERGOM (43040). FARE SA (TB404). STC (T403642). TOPRAN (723768). 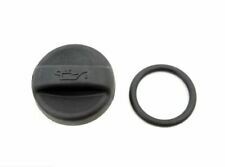 Citroen & Peugeot 1.4 HDi 1.6 HDi 2.0 HDi 2.2 HDi Engine Oil Filler Cap Gasket. The exception being a warranty claim. FORD FIESTA / FUSION 1.4 DIESEL 2001 ONWARD. NUEVO ACEITE INDICADOR NIVEL DIP STICK PARA. FORD FIESTA / fusión 1.4 Diesel 2001 adelante. CITROEN C2 C3 1.4 HDI 2002 adelante. CITROEN C2 C3 1.4 HDI 2002 ONWARD. 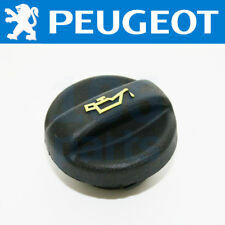 Peugeot Oil Filler Cap - 025854(x1 supplied). Genuine new Peugeot part from Main Dealer - was sealed - only opened to take pictures - may have the odd very small mark etc from storage / handling at the dealer - supplied as shown. Do not know Peugeot Citroen it fits. BOXER Caja/Chasis 2.2 150cv. BOXER Caja/Chasis 2.2 131cv. BOXER Caja/Chasis 2.2 110cv. BOXER FurgÃ³n 2.2 150cv. BOXER FurgÃ³n 2.2 131cv. BOXER FurgÃ³n 2.2 110cv. BOXER AutobÃºs 2.2 150cv. BOXER AutobÃºs 2.2 131cv. PART NUMBER: 117483. GENUINE PEUGEOT PART. 2S6Q6766AA, 1180F9, 1180. F9, Y40114320, 11127572848. PEUGEOT 1180F9. CITROËN 1180F9. 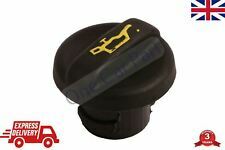 PEUGEOT OIL FILLING CAP. For Peugeot 1007 2005-2009. For Peugeot 107 2005-2014. For Peugeot 206 1999-2014. BIPPER 1,4 HDi. Oil Filler Cap. Suitable for this engines Best Regards /. BEST QUALITY. Mini Countryman R60 1.6 Petrol. S80 II 1,6 D DriveE. LIANA 1,3 1,6 1,4 D.
207 (WA_, WC_) 1.4 95cv. 207 (WA_, WC_) 1.4 88cv. 207 SW (WK_) 1.4 95cv. 206 SW (2E/K) 1.4 88cv. 206 Fastback (2A/C) 1.4 88cv. Referencias de piezas equivalentes. BIPPER Tepee 1.4. PARTNER Combispace (5F) | PARTNER ORIGIN | RANCH 1.1. PARTNER Combispace (5F) | PARTNER ORIGIN | RANCH 1.4. 405 II (4B) 1.4. 405 II Break (4E) 1.4. BIPPER (AA_) 1.4. PARTNER FurgÃ³n (5) | PARTNER ORIGIN | RANCH 1.4 BiFuel. 11/2002 bis 10/2006. 205 II (20A/C). 3003-280, 3003-287. 10/1987 bis 10/1990. 05/1996 bis heute. 106 II (1). 3003-513, 3003-783. 3003-512, 3003-782. 307 (3A/C) 1.4 68cv. 206 Fastback (2A/C) 1.4 68cv. Longitud [mm]: 500. CITRO (117485). PEUGE (117485). CITROEN BERLINGO 1.1i 1.4i 1.6i 1996 ONWARD. CITROEN C2 1.4 1.6 2003 ONWARD. CITROEN C3 1.1i 1.4i 1.6 2002 ONWARD. CITROEN C4 1.6 2.0 2004 ONWARD. CITROEN C5 2.0 HDI 2005 ONWARD. CITROEN C8 2.0 HDI 2005 ONWARD. Estante 5, C1, Peugeot 206-2. Marke Peugeot. Farbe EZR Aluminium Grau. EAN Nicht zutreffend. Incluso con el mayor cuidado Al retirar las piezas podemos incluso hacer un error. Nos gustaría ir allí por desgaste o defectos, sobre la base de las imágenes puede ser también muy bueno incluso reconocer. Part Number: 025864. Genuine Peugeot Parts from Peugeot Main Dealer. This is for the 1.4 8v Petrol Engine Fitted to many Peugeot Models. Genuine Peugeot Engine Oil Filler Cap. Engine Oil Filler Cap. 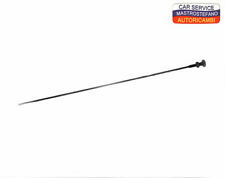 Fits Citroen Xantia / Xsara / ZX. Fits Peugeot 306 / 405 / 406. Quantity 1. Number 14 in the diagram. CODICE OE 117449. PEUGEOT 106 I/106 II/205 I/205 I CABRIOLET/ 205 II. CITROEN AX/BX/BX BREAKE. E' possibile richedere un preventivo personalizzato di Olio motore e Filtri per ogni autoveicolo. Suitable for:Fiat Ducato / Peugeot Boxer / Citroen Relay / Iveco Daliy. This policy does not affect your statutory rights. This part replaces manufacturer part numbers:500301568. 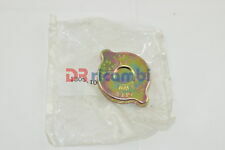 Part number:BP84-075. PEUGEOT- 1180. 106 1007 206 207 306 307 308 3008 406 607 807 5008 BIPPER PARTNER. However delays are occasionally inevitable due to unforeseen circumstances. TO FIT THE FOLLOWING VEHICLES O.E Quality Part. Bouchon de filtre a huile pour PEUGEOT et CITROËN. 1 Bouchon de réservoir d'huile. CITROEN Ax- Berlingo - C2 - C3 - Nemo -Saxo - Xsara - ZX. PEUGEOT 106 - 205 -206 - 306 -405 - 1007 - Bipper - Nemo. Voir tableau de compatibilité véhicules. FIAT DOBLO 1.3 MULTIJET. FIAT DUCATO 100 Multijet 2.2 D. CITROEN RELAY 2.2 HDi. PEUGEOT BOXER 2.2 HDi 2006 ON 1103. L7 (101 HP & 120 HP ONLY!). FIAT PUNTO 1.3 MULTIJET. FIAT FIORINO 1.3 MULTIJET. FIAT GRAND PUNTO 1.3 MULTIJET.